Port Macquarie Marine Rescue now boasts the biggest fleet of any unit in the state in the lead-up to this summer’s holiday season. The organisation has secured a second jet ski making it the most prepared Marine Rescue unit outside of metropolitan areas. 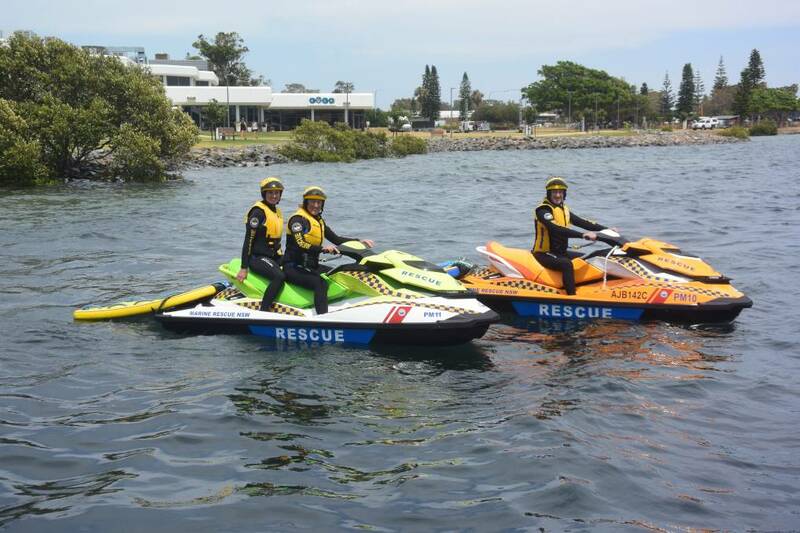 Unit commander Greg Davies said the additional jetski will boost the unit’s capabilities and looks forward to being able to provide another level of protection and safety to boat users in Port Macquarie. The original jetski is called PM 10 and now the second jetski will be called PM 11. Mr Davies said that over the last 12 months the unit has undergone a major expansion of members and with now 14 operators, two jetskis is justified. He said the added jetski will be able to strengthen the water resources used in rescues and searches in the Port Macquarie-Hastings region.